Conventional load-bearing floor systems consisting of engineered timber panels that span between shear walls at the core of the floor-plan, spandrel beams, and columns at the perimeter have restricted span capacities (fire or serviceability). The principles of floor timber systems replicate those of a traditional reinforced concrete at plate system where the ends of the floor panels are restrained from rotation by walls and column. 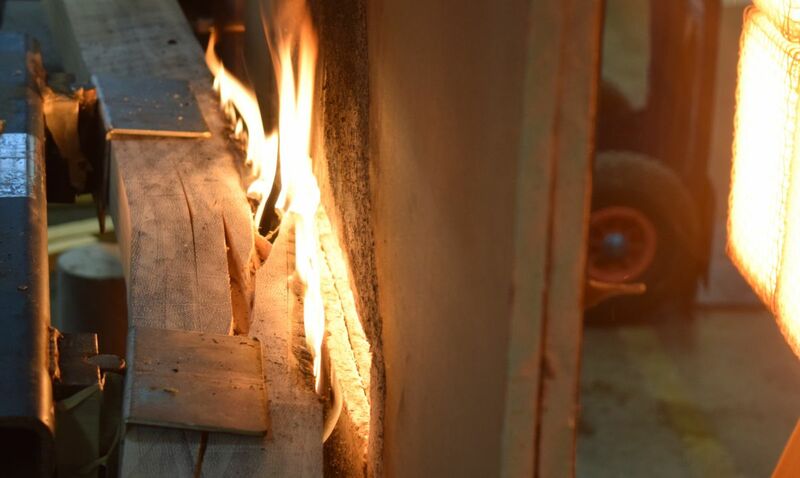 Fire-induced failure mechanisms of floor timber systems have been shown to be governed by a reduction of cross-section (due charring and/or delamination) or weakening of the connecting conditions. Assuring structural integrity during and after fire is key for demonstrating an appropriate fire performance of timber structures in which fire considerations are relevant, e.g. tall timber structures. This project investigates the fire performance and structural integrity of floor timber systems. The development of a floor timber system incorporating Fibre Reinforced Polymer (FRP) products will be used as integral part of the work herein, aiming at a composite system (timber-FRP) with structural stability during and after fire.